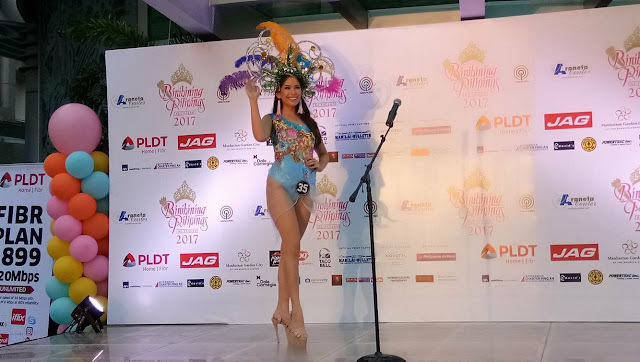 The afternoon of April 22, 2017 became even more hotter as the lovely forty candidates of #BbPilipinas2017 dazzled and sizzled once more in the annual Grand Parade of Beauties. The Binibinis came out from Kia Theater where this year's parade started. Touring the streets of Araneta Canter, the #BbPilipinas2017 candidates wore a stylish floral blue swimsuits designed by Filipino designer Domz Ramos. A fancy and featherly headdress accentuated by colorful beadwork was worn to complement the looks of the beautiful Filipinas. 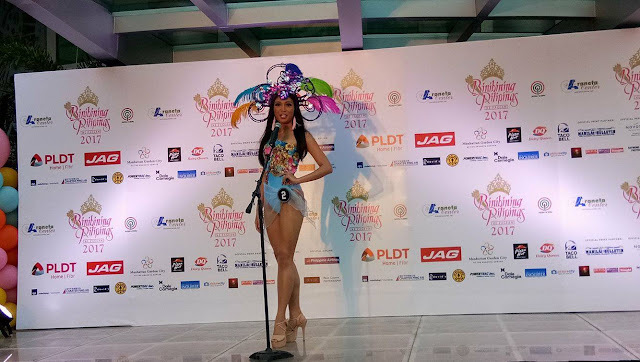 Accompanied by drum and lyre, the Binibinis paraded and waved to the crowd with their beaming smile as they passed through the fans and members of the press riding on Miata cars. The parade is another anticipated event of the Binibining Pilipinas prelude to the Coronation Night slated on April 30 to be aired by ABS-CBN. 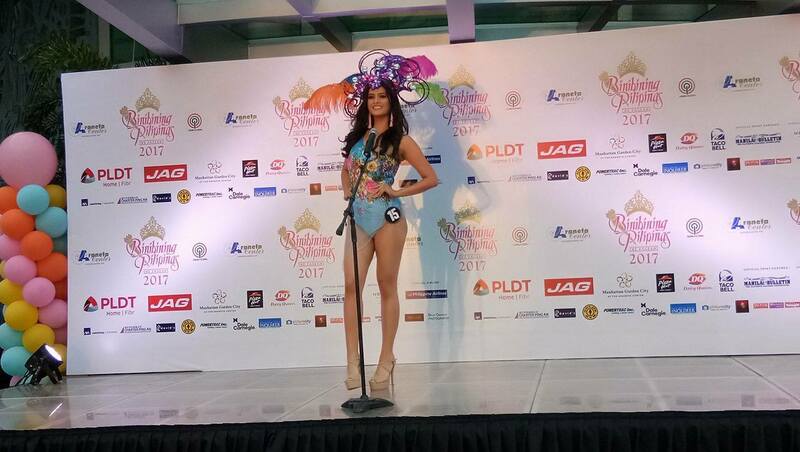 As soon as the parade ended at Gateway Pavilion, the #BbPilipinas2017 candidates introduced themselves in front of fans and flashes of the media.